Home/Rolex/What Makes a Rolex Special? From rap songs to the wrists of royalty, Rolex reigns supreme as the number one status symbol of the watch world and beyond. Beside their lofty price tags (starting price of about $6,000 new, directly through Rolex), what is it that makes this luxury brand so special, though? Rolex aficionados often point to the brand’s long history (it was founded by Hans Wilsdorf and Alfred Davis in 1905), the tradition of functionality and versatility over fashion, attention to fine detail and extreme durability. They’re also extremely hot in resale and auction space right now, with a rare Rolex Cosmograph Daytona owned by Paul Newman fetching $17.8 million at auction in 2017. That price made it the most expensive watch ever sold in an auction. With Rolex watches being so sought after, it’s not surprising counterfeits are prolific. You can find fake Rolex’s in outdoor markets, pawn shops, online and even jewelry stores that seem legitimate. Is it a Real Rolex Rule One – The Devil Is In The Details. Rolex has established itself as a luxury brand committed to the finest level of craftsmanship and details. If anything looks off about a watch in question, it probably is. Uneven printing, spelling errors, poor finishing, faded bezel, etc. are tell-tale signs of a fake Rolex. The caveat to this, though, is that some vintage Rolex pieces do have flaws and imperfections that are highly coveted. If you’re looking at a newer Rolex, though, every detail should be perfect. Is it a Real Rolex Rule Two – Telltale Signs. It’s very important to examine the caseback (or back) of a watch you think may be a Rolex. The caseback of a Rolex is typically solid, fluted, and screwed-down, not clear. You typically will not see engraving, logos, labels, designs, etc. on a Rolex caseback. Exceptions to this would be the modern Sea-Dweller, Deepsea, and Milgauss Rolex watches and some vintage pieces. Is it a Real Rolex Rule Three: The Minuscule but Important Crown. 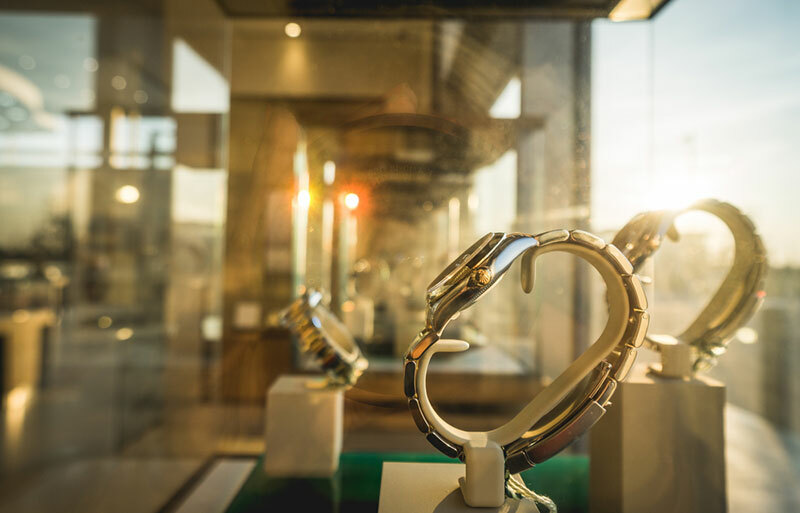 To combat counterfeiting, Rolex began etching their watch crystals (the transparent cover that protects the watch face) in the early 2000s with a tiny crown at the 6 o’clock position. If you see this crown you know immediately the watch you’re looking at is a fake, since the legitimate Rolex marking is impossible to see with the naked eye. You should not be able to feel it either since it’s etched beneath the crystal. The only way to see this important crown is with a jewelry loupe and proper lighting. Overall, the simplest way to avoid purchasing a fake Rolex is to shop only with reputable and well-respected dealers. At MJ Gabel we can help find your perfect Rolex with peace of mind and steadfast professionalism. 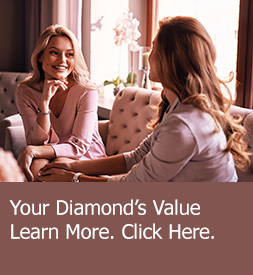 To discuss either buying or selling a Rolex call (800) 804-1980 or click here to get in touch with the MJ Gabel Rolex team.